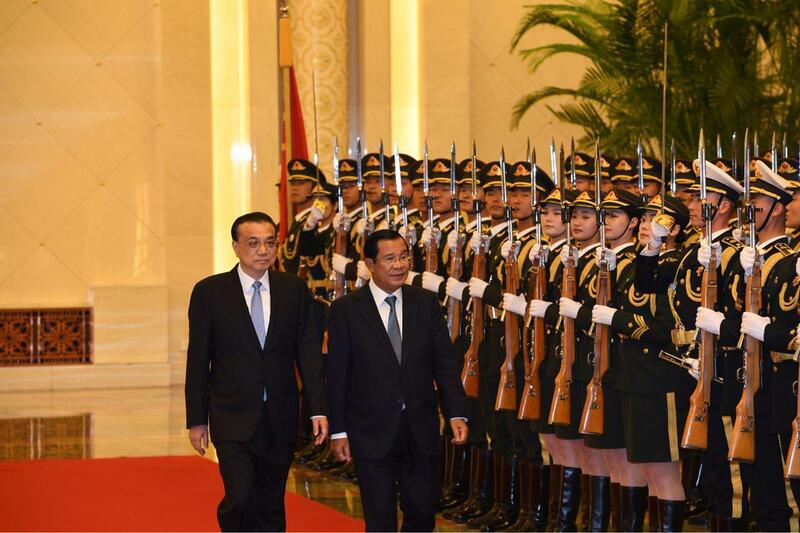 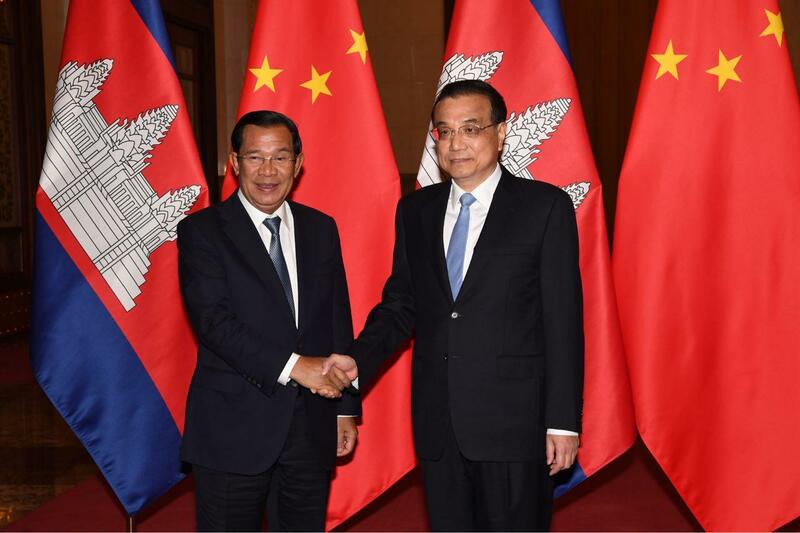 Phnom Penh (FN), Jan. 23 – The Kingdom of Cambodia and the People’s Republic of China released a Joint Communique on Prime Minister Hun Sen’s three-day Official Visit to China. 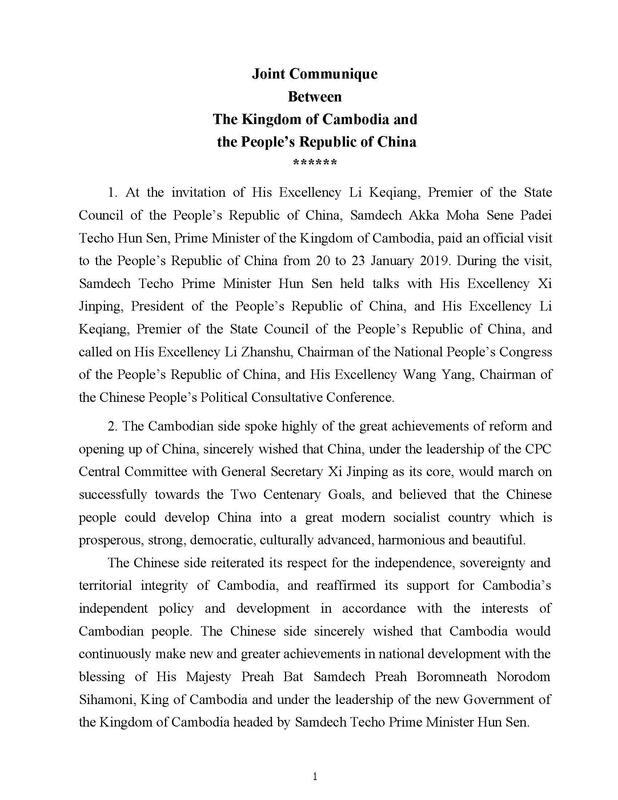 The Chinese side sincerely wished that Cambodia would continuously make new and greater achievements in national development with the blessing of His Majesty Preah Bat Samdech Preah Boromneath Norodom Sihamoni, King of Cambodia and under the leadership of the new Government of the Kingdom of Cambodia headed by Samdech Techo Prime Minister Hun Sen. 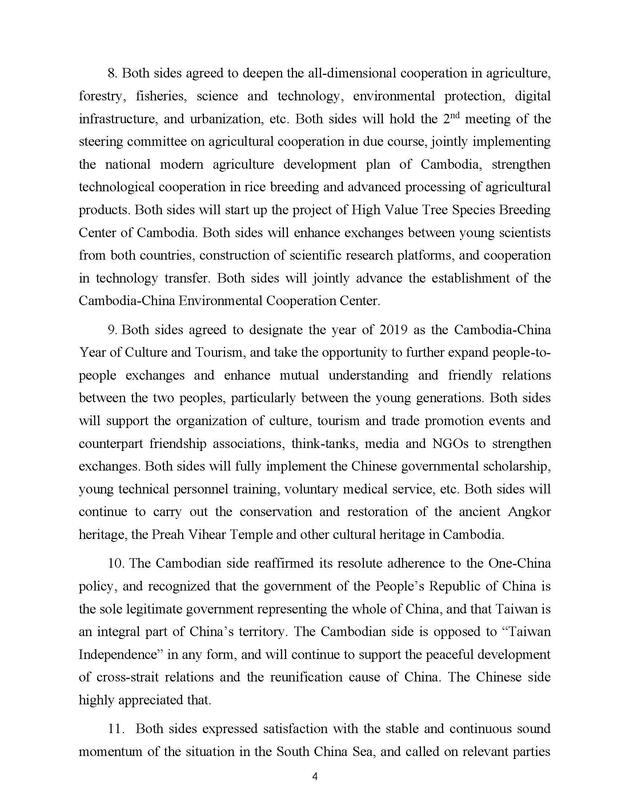 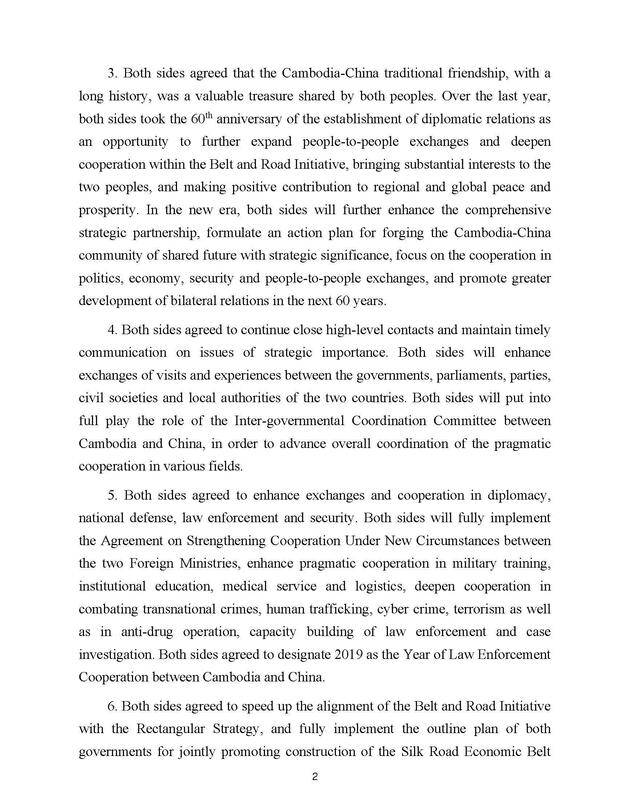 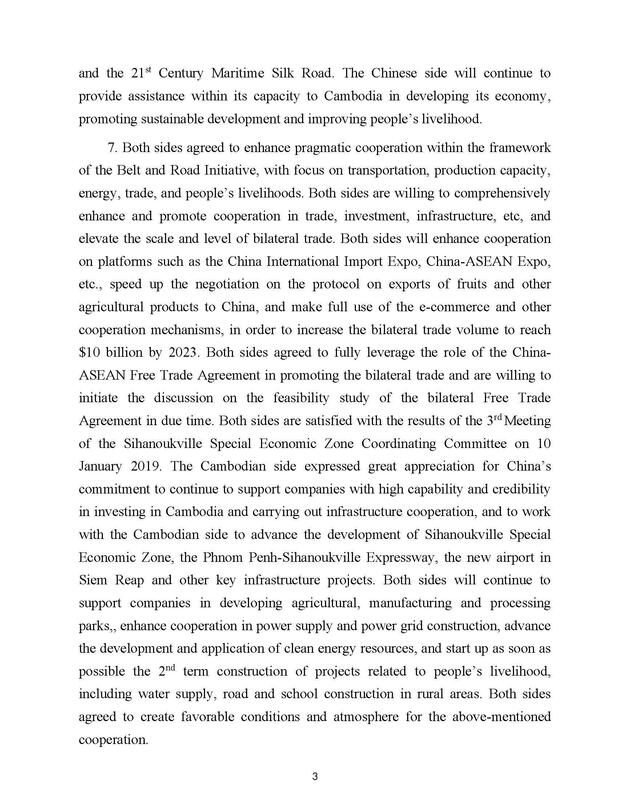 The Cambodian side, in response, spoke highly of the great achievements of reform and opening up of China; and sincerely wished that China, under the leadership of the CPC Central Committee with General Secretary Xi Jinping as its core, would march on successfully towards the Two Centenary Goals. 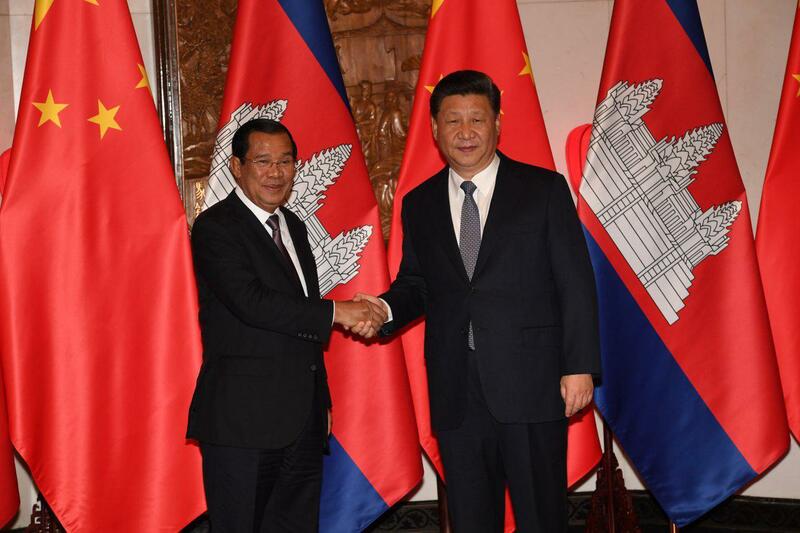 Cambodia believed that the Chinese people could develop China into a great modern socialist country which is prosperous, strong, democratic, culturally advanced, harmonious and beautiful. 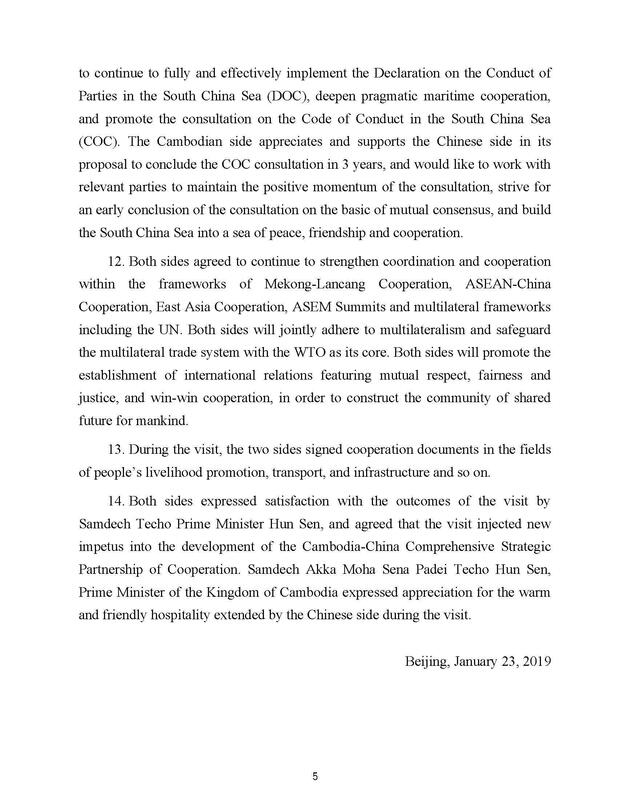 Both sides expressed satisfaction with the outcomes of the visit by Samdech Techo Prime Minister Hun Sen, and agreed that the visit injected new impetus into the development of the Cambodia-China Comprehensive Strategic Partnership of Cooperation.